How Do Hydroponic Fertilizers Work? All growing plants need 17 essential elements in the proper amounts to develop and grow to their full genetic potential. Of these 17, there are 14 usually absorbed by the plant from the soil through the roots. The other three – carbon, hydrogen, and oxygen – come from air and water. Hydroponic fertilizers are suspended in liquid and contain the proper amounts of all the essential micro-nutrients needed by the plant. Soil fertilizers do not. The nutrients contained in hydroponic fertilizers are in a soluble form, making them more easily absorbed by plants. Plants do not have to search in the soil for the nutrients they require. Because hydroponic fertilizers do not require soil, there is less opportunity for soil contamination and plant pests. An outside soil-based garden can be left to its own devices for weeks without total demise. The soil based fertilizers will continue to help them revive even after they are a weedy mess. Hydroponic fertilizers can work only if the garden receives continued and substantial TLC. Failure to do so will result in added cost and frustration to the gardener. What Are Hydroponic Fertilizer Boosters? 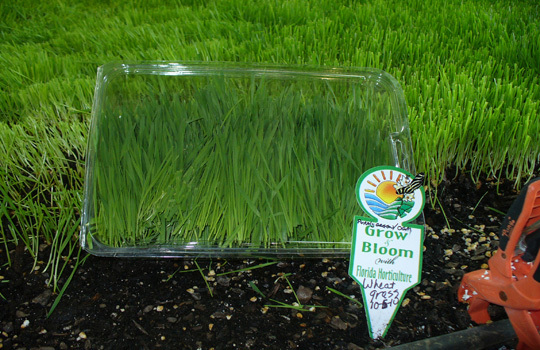 Hydroponic fertilizer boosters, like BioWash, are designed to help plants be more efficient in absorbing nutrients and moisture that are made available to them. Because hydroponic fertilizers are already in a liquid form, fertilizer boosters, like BioWash, can improve that delivery system dramatically. BioWash is a 100% biodegradable, natural formula derived from plants. Easily mixed with water, it offers enhanced absorption of the hydroponic fertilizer solution to the roots and, in the process provides the added benefits of helping increase the BRIX (sugar content) of the plants. BRIX has been found to reduce insect damage and to make plants more freeze tolerant (down to 27 degrees). Increased BRIX also results in earlier harvest and improved flavor of farm products. Improved efficiency of absorption means reduced need for commercially produced hydroponic fertilizers. Result? Improved harvest at reduced costs.